Collins Booksellers - Supply Chain Management and Logistics: Innovative Strategies and Practical Solutions by Liang, Zhe, 9781466577886. Buy this book online. 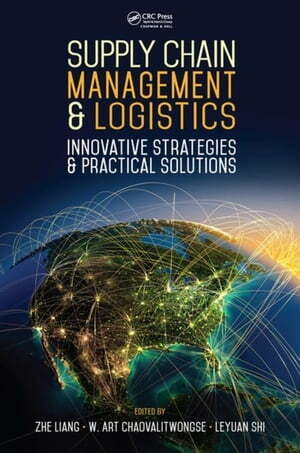 Designed by practitioners for practitioners, Supply Chain Management and Logistics: Innovative Strategies and Practical Solutions provides a wide-spectrum resource on many different aspects involved in supply chain management, including contemporary applications. With contributions from leading experts from all over the world, the book includes innovative strategies and practical solutions that address problems encountered by enterprise in management of supply chain and logistics. It details general techniques and specific approaches to a broad range of important, inspiring, and unanswered questions in the field. The book is organized around four major research themes in supply chain management: 1) supply chain strategy and coordination, 2) supply chain network optimization, 3) inventory management in supply chain, and 4) financial decisions in supply chain. The sequence of these themes helps transition from an enterprise-wide framework to network design to operational management to financial aspects of the supply chain. Each individual theme also addresses the answer to a challenging question as to how to go about applying quantitative tools to real-life operations, resulting in practical solutions.